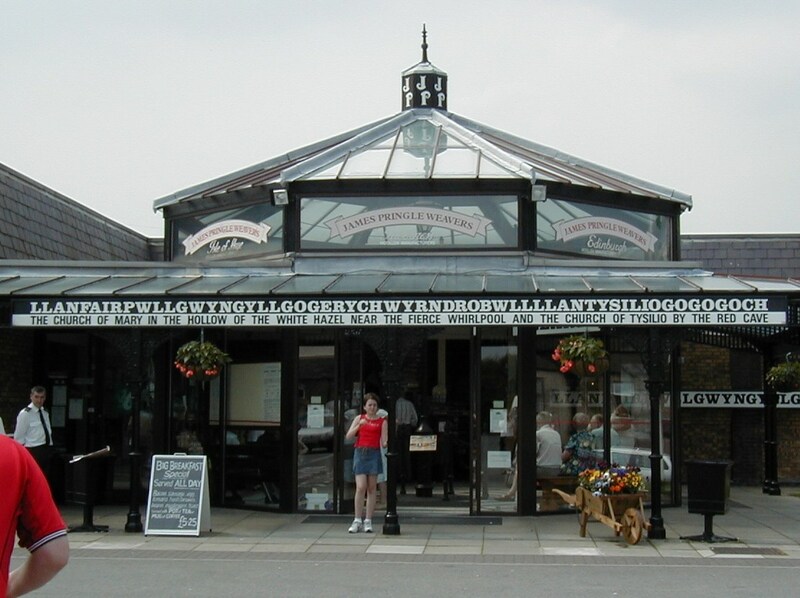 I have previously written of my visit to Llangollen, Wales with the store sign reading “YSIOPFACHGARDIAUWRTHYBONTDROSYRAFONDDYFROWYYNLLANGOLLEN.” When I came home from the mission, I had the photo above in my collection. I must admit, I never actually visited the town nor took this picture. Although, if Amanda and I had realized we were within 3 miles of the town when we traveled to Beaumaris, Wales through Menai Bridge we probably would have stopped. Unlike YSIOPFACHGARDIAUWRTHYBONTDROSYRAFONDDYFROWYYNLLANGOLLEN, I can point you somewhere on how to say it. I stumbled upon this little video which is clear on how to say LLANFAIRPWLLGWYNGYLLGOGERYCHWYRNDROBWLLLLANTYSILIOGOGOGOCH and even has a catchy tune if you want to remember it. One of my missionary companions had a tape that taught the listener how to say it. I listened to it once and had other things to do. Now I wish I would have learned. Maybe some time dedicated to the song will help me sound smart the next time someone asks the most novel place I know of in Wales. This entry was tagged Beaumaris, Llanfairpwllgwyngyllgogerychwyrndrobwllllantysiliogogogoch, Llangollen, Menai Bridge, Wales. Bookmark the permalink.